If u are some how confuse about the various components to order and their quantity; this kit is a good choice. With this kit, u can be sure u will not forget to order some basic components u might need. The Invent! starter kit is really neat. It has practically every component you’ll need for a starter project. I personally recommend this kit for students wanting to learn Arduino and electronics. Awesome packaging too! 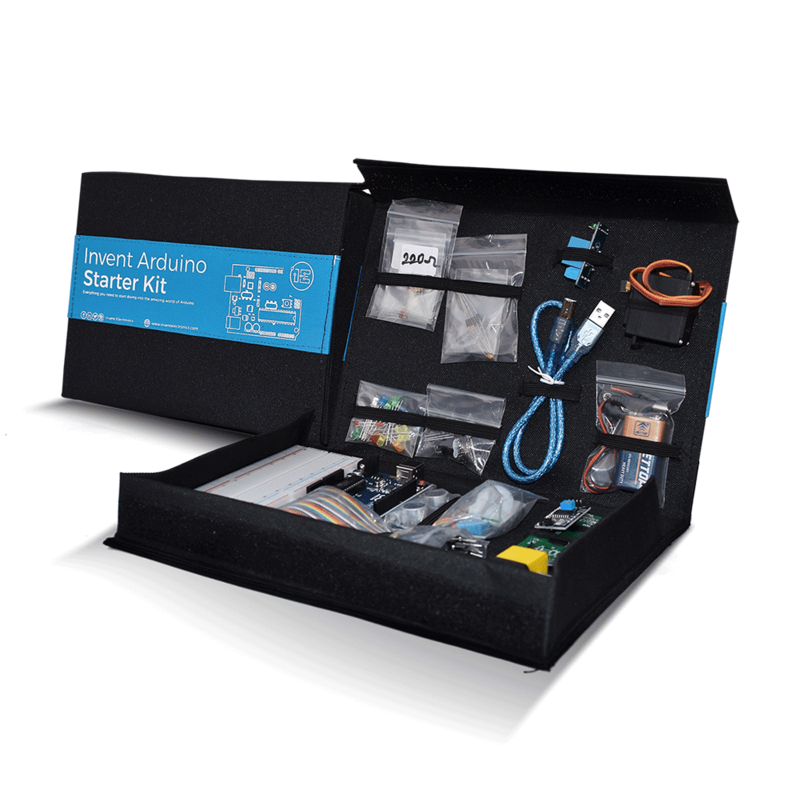 Invent Arduino Starter Kit from Invent Electronics is the premium arduino kit to choose if you want the most from a starter option. Invent Electronics has got very good customer service. This box is worth the price because it comes with a whole lot of components for all beginners as well as intermediates. All components within the box work perfect and there’s never a defective component. Thank you Invent Electronics! The product was delivered within time. I will recommend any electronic lover to make their purchases from InventElectronics.